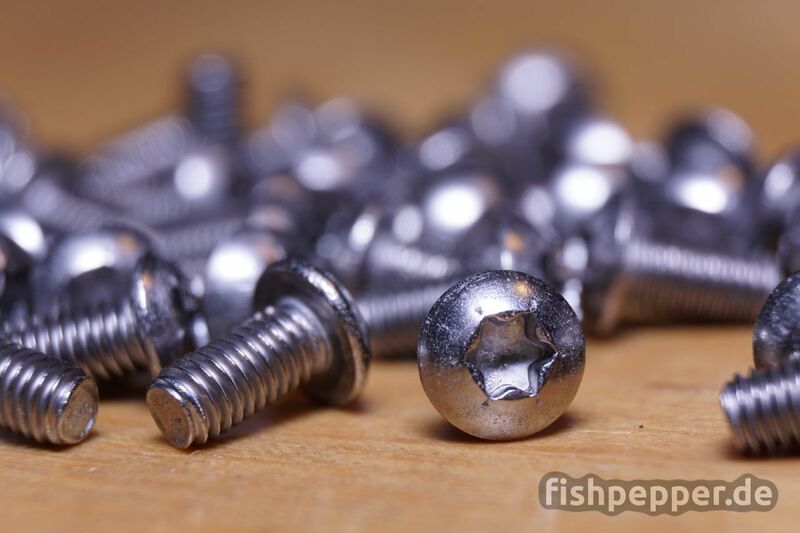 Rocketscience for your Quadcopter – Titanium screws! Some people use aliminum screws to mount the top and baseplate of the typical H shaped frames to save some weight. I know it’s not a lot, we are talking of < 10grams for inox M3x6 screws. When reaching for the holy 250g limit you often end up beeing some grams above the magic limit. If you do so as well, titanium screws might save your day! When building something tiny such as my 32.4g pepperF1SH copter, every tenth of a gram make a difference. 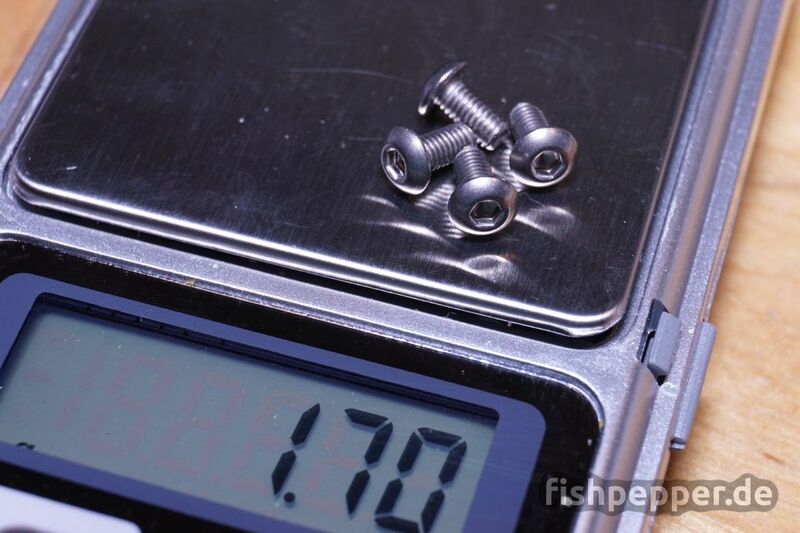 Typical titanium alloys weight around 4.5-4.6g/cm³, aluminum screws are around 2.7g/cm³ and typical inox screws end up with roughly 7.8g/cm³. Aluminum screws, even though they break much easier, are really expensive and it seems titanium are weighted with gold (at least here in germany). I was surprised to find a seller on aliexpress that offered really cheap titanium screws. Although having bad experience with fake chips from other vendors on aliexpress, I ordered M3x6 and some M1.6×2 screws (50 each), expecting to receive an empty package with no screws at all or just inox screws. But I was so wrong — the seller delivered excellent titanium screws! Surprise, surprise: Indeed, they weight less than my inox ones. 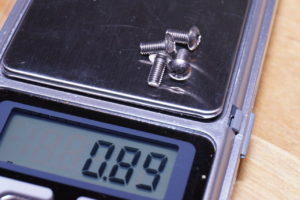 Some quick math magic shows that the weight of the 1.7g inox screws should be around 0.98g when made out of titanium — that’s a close match. Looks like they are genuine titanium screws! Just for reference, the same screws would weight around 0.58g when made of a typical aluminum alloy. I’m looking for some lightweight screws and I thought that aluminum 7075 or 7075 T6 was strong enough for small quads?! May I ask what aluminum alloys you have tested for screws? I have not tested (small) aluminum screws. But if you do, let me know how they turn out!